This is an exciting time in your life. You’ve got decisions to make: which school to attend and what to major in. At Hood College, we’ll help you realize your full potential. Your next step is here! Whether you’re a high school student looking for your college home or already in college and considering a transfer, Hood College is ready for you. Outstanding students who love to take an active part in their education with engaging faculty, internships, research, and stimulating discussions will find a home at Hood. Come to Frederick and visit our beautiful campus - I promise you will not be disappointed! 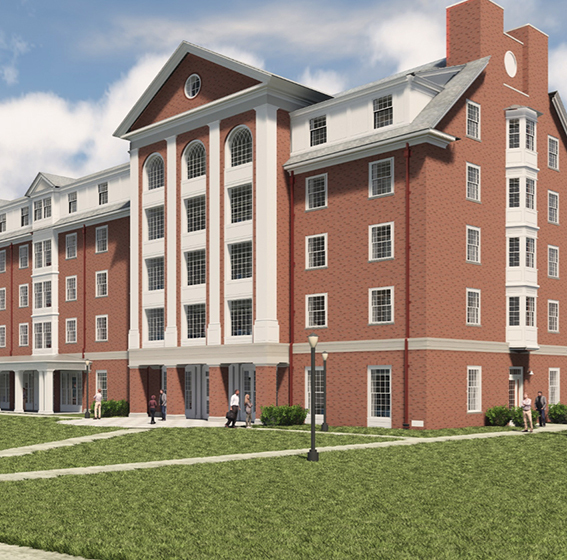 In an effort to accommodate the growth of our resident student population, we are building a new residence hall.